Exposition of the museum is a kind of history chronicle of University establishment and development since 1953 till our days. History of university creation goes in the yearly ages of the Great Patriotic War. Those years many scientific-research institutes including Moscow mining institute and All-union Coal institute were evacuated to Karaganda. After the end of war many specialists and graduates stayed in Karaganda to raise coal basin. In postwar years industry was booming and accordingly specialists with high engineering education were in need. In 1953 Council of the USSR Ministers and Ministry of Culture took an order about opening of Mining institute in Karaganda. The first Head of institute was appointed Nurmukhamedov Yunus Kadyrbayevich, Cand.Tech.Sci., he managed institute from 1953 to 1955. All country helped for the formation of young mining institute, sent collection of minerals, chemical reagents, manual. In the fund of university library are kept unique editions with stamps of libraries of Stalin Moscow mining institute, Dnepropetrovsk mining institute, NKVD and others. Specialists from Sverdlovsk mining institute, universities from Leningrad and Dnepropetrovsk were dispatched to teaching work. Students studied in different establishments, but in 1954 building was allocated on address B.Mira, 22. “Development of mineral deposits” and “Mining electro mechanics”. The first admission was consisted of 200 students. Students of two classes wore uniforms of mining engineers and were very proud of them. There is kept a photo of student Churkin A.N., our first excellent student, who received diploma with high honours, registered under №1. Son of Churkin A.N. passed original of father’s diploma as gift to museum. In 1955 Nurmukhamedov Yu.K. went to Moscow and Abylkas Saginovich Saginov was appointed a rector. Order of appointment of the rector is presented in the museum. Personal stands in our museums are devoted to the life and activity of A.S.Saginov. During 1955-1958 A.A.Ermekov has been working at our institute. Statesman, member of “Alash-Orda” government, the first Kazakhstan’s professor of Mathematics, author of the first Maths book in Kazakh language, which was issued in 1935 with Latin alphabet, fragment of the manual is presented in our museum; the original was passed to Karaganda regional museum, personal stand is devoted to Ermekov A.A. in our museum. March 31, 1958 Karaganda mining institute was reformed to Karaganda polytechnic. It was the First Polytechnic Institute in Kazakhstan. That year was held visiting session of Academy of Science of Kazakh SSR. Institute was visited by academician K.I.Satpayev. there was held meeting of Satpayev K.I. with the students of institute. That event was highlighted in newspaper “For polytechnic knowledge” № 3. Personal stand at our museum is devoted to Satpayev K.I. In 1958 there were 5 faculties at institute and training on 15 specialties. This year was the first emission of 157 engineers-miners, many of them became great scientists. You can photo of the first teachers and graduates, photo of the first diploma defense, certificate of honour of the first secretary of Komsomol organization Klimova B., certificates for students activist Galiyev Zh at museum. In 1953 the faculty was inconsiderable in number at institute, only some Candidates of Science. It was necessary to look for problem solution of scientific-pedagogic personnel. A.S.Saginov solved the problem through training specialists down the line of objective post-graduate education. In consequence his organizational abilities and ability to work with people in some years he managed to send about 40 people. By October 1, 1962 there were 28 departments, 326 teachers, 2 professors of Science, 40 associate professors and Cand.Tech.Sci. at our institute. By the end of 60th years that problem was more or less solvable. In 1966 was created the united Board on defense of candidates’ dissertations at institute. The first candidate of technical sciences was – D.A.Adambayev, KPTI graduate. Level of Board structure was high enough, which gave reason to raise question about admission to defense of doctoral dissertations. In 1993 Higher Attestation Commission of the RK approved the structure of special Board on defense of doctoral dissertations. During 33 years of university administration was defended more than 400 dissertations, including 3 doctoral. During the work at institute about 50 people defended doctoral dissertations. By the end of 80th years problem with Doctors of Science was solved. Rapid development of institute was connected with 60th years. Branches opened in Temirtau, Balkhash, Jezkazgan, Tselinograd. Scientific-research work actively implemented. That time by agreements were implemented 15 scientific-research themes on 150 thousand rubles and implemented researches on 10 state budget themes. Material base improved. In 1953 was only one building, today building complex of Technical university takes the whole quarter. At the end of 1963 main building with laboratories, gym, auditoriums, 3 hostels were passed to exploitation. Students took active participation in construction of the main building. They built brickwork, put parquet floor, they welded shelving in archives of the library. There opened two topical and 5 specialized laboratories. In these laboratories students had opportunity to make instrument, model samples, which were presented on exhibition of agriculture achievements and were awarded with certificates of honour and diplomas. In 1972 the first educational building was passed to exploitation. Squares near buildings were pitched with the students power. During 10-15 years students were fully provided with the housing. In 1961-1963 was organized summer camp for rest in Karkaralinsk, which later became recreation centre for students and teachers. Students and teachers took active participation in all these constructions. Projective parts of constructions were implemented by students project-construction bureau, which was headed by associate professors N.M.Korotchenko and V.Ph.Arkhipov. Vice-rectors of institute A.Ph.Kichigin and A.G.Lazutkin managed the construction. In order to broaden sports base was built athletics arena. This arena is used till present. Our pride is that KSTU- is a university of the First President of the Republic of Kazakhstan. 1962-1965 – are study years at KPTI of Nursultan Abishevich Nazarbayev. Stand in our museum is devoted to it. You can see extract from work record, which tells that N.A.Nazarbayev began his labour activity as simple security guard in bank, then study at Dnepropetrovsk technical specialized school, he graduated from it with high honours and was sent to study at Karaganda Mining institute, personal card of applicant, autobiography, order on admission of N.A.Nazarbayev in the number of students to the first course, copy of the student’s record of credits, application about transfer on the second course of factory – technical university, photos of student Nazarbayev N.A. those years in worker uniform of blast furnace, memories of A.Smolkin, Cand.Tech.Sci., group mate of the President. In 1962 was held the first All-union scientific-technical conference “Destruction of rocks”. KPTI presented 25 reports – 19 of them were presented as the best. This year students team of institute “Polytechnic” conducted their labour term on the virgin land. Construction teams got the first State awards – Memorable Banner of CC KP of KazSSR and Ministers Board for success in gathering of 10 virgin harvest, Memorable banner of CC LKSM of Kazakhstan and Ministry of agriculture of Kazakhstan for impact work. These banners are also presented in our museum. During all history KPTI received 14 banners for victory in social contests and achievements of the best results by students construction team. In 1972 was introduced new laboratory building for transport-road and engineering-construction faculties, where cars, tractors, engines, models and mockups of cars and mechanisms, laboratory installations were set. There students passed study course, students-builders studied the elements on buildings constructions and installations. In 1972 Karaganda polytechnic institute was awarded with “Jubilee honourary sign” of CC KPSS and Presidium of SC of the USSR, Board of the USSR Ministers and VCCPS for achievements of the highest results in All-union competition in occasion of 50th anniversary of the USSR education. 870 universities of the Soviet Union took participation in this competition, but the winners were only two – the oldest in country Lomonossov MSU and KPTI. 1973 on the base of Foreign languages department worked tranlsation bureau. Students in this bureau not only improved their knowledge in sphere of foreign, made their knowledge on specialty better, as they translated technical literature from English, German, French. Those years 60 of our students defended their diploma projects in foreign languages. In the middle of 70th years by decision of Ministry of higher and secondary vocational education of the USSR in technical universities have opened general engineering faculties. Library with two reading halls, lending libraries with the fund of 150 thousand academic manuals on natural sciences and general technical disciplines where implemented leading methods of work with reader-freshmen were opened for them, mass events were held and worked “Zhaskanat” club. In 1976 was held the first programme of KPTI TV. TV studio located in the first building, was equipped with modern technique. Operators and presenters were our students. Broadcast of the next programme was waited by all institute. This year Presidium of Supreme Court of the USSR awarded KPTI with order of Labour Red Banner for achieved success in specialists training for agriculture and implementation of scientific research in the 9th 5-year. That year KPTI was put into Golden book of Honour of Kazakh SSR and on Board of Honour (1976 and 1981) and three times on Board of Honour of Karaganda region. Not every institute has been awarded with such high award. From 1970 to 1991 at KPTI was led Book of Honour, full names of our teachers and staff, who have made worthy contribution into history of university were put down into it, now our university leads Golden book of Honour of KSTU. In 1974 book of “Honourary guests” was affirmed. Honourary guests, delegations from friendly states The Czech Republic, Poland, Bulgaria, Germany and etc, scientists, ministers, composers, actors, writers and artists have left records avout visiting KPTI in languages of their countries. The book still perform its functions and is kept at museum. In 1983 institute celebrated its 30th anniversary. There graduated about 28 thousand of engineers. Educational-laboratorial buildings, scientific-research laboratories are well-equipped at institute. Recreation-centres work in Karkaralinsk and on the bank of Topar reservoir storage. About 900 people have rest during summer and winter. Scientific-research work implemented by orders of enterprises got wide development, the amount of financing of which in 1983 have raised up to 5 million rubles. Average annual value of one economic agreement work increased from 14 thousand rubles in 19875 up to 32 thousand rubles in 1983. Urgency of work has raised. Specific authority of the most important themes increased up to 70% (1975 – 33,5%). Institute takes participation in implementation of 11 target and complex programmes on solution of the most important scientific-technical issues, affirmed by state committee of the USSR on science and technique and State plan of the USSR. Many departments of university implementing large researches have firm relationship with organizations SA of the USSR and SA of Kazakh SSR. 11 themes are led on coordination planes of SA of the USSR and 21 themes on SA of Kazakh SSR. Relationships of institute with industrial enterprises, scientific-research and design – construction institutes of branch ministries grew and broadened. Only in 1982 joint research were implemented on 55 agreements of scientific-technical cooperation, the majority of them is complex. Educational-scientific-productive associations were created and functioned successfully: Karagandaugol – KNIUI- KPTI, KPTI – “Kargormash”, “KPTI-NIIRP-KZRTI”, “KPTI-KF Kazdorproject-Obl-Shosdor”. Constant close relationship with enterprises and branch ministries provided rapid adoption of scientific research results into production. For 5 years scientists adopted 343 work into national economy. Economic effect was 45, 9 million rubles. During 1976-1982 institute gave 990 applications to State committee of the USSR on inventions and discoveries, 375 certifications of recognition were got. Scientists of Automation of productive processes department E.N.Protasov received bronze medal VDNKH for development of digital computing machine “Agloshakhta-M”. Student I.A.Sneider (IAS) was awarded with diploma of All-union Council of NTO on section “Technical cybernetics, computing microprocessor-based technique and information science”. There was republican round of All-union Olympics “Student and scientific-technical progress” at institute. Students of KarPTI took 1st place in all 3 sections and were awarded with diploma of Karaganda regional committee of Komsomol. In 1987 for development of theory and creation of hydraulic machines of impact action State award of Kazakh SSR was given to author’s staff of scientists – Saginov A.S., Lazutkin A.G., Yantsen I., Eshutkin D.
That year library held the republican seminar for libraries of universities of Kazakhstan. Among participants 110 specialists from 49 universities, 17 regions and cities of our Republic. Institute lived an interesting creative life. Teachers and staff organized staff creative amateur. Russian national chorus was headed by E.D.Keil. S.M.Polyakov (senior teacher of heat engineering department) organized orchestra of Russian and Kazakh folk instruments. Melodies of well-known composers were sounded on professional level, waltz performed, the author of which was S.M.Polyakov. L.G.Budnik (senior teacher of foreign language department) organized chorus in English language, which mainly consisted of students of translation club. R.T.Serebryanik (senior teacher of Higher mathematics) could fascinate witty, merry and inventive students in favourite among the youth dramatized club “IFA”(It’s interesting and funny for all). In comic chastushkas and humoresques were parodied characters of lazy and negligent students. V.A.Kichigina (Head of personnel department) organized chorus of teachers and staff, there were 60 soloists. Creative staffs were awarded with Certificates of Honour and Diplomas more than once. In 1982 chorus of KPTI folk songs were honoured with rank “People’s”, chorus staff confirmed this rank repeatedly in following years. In 1988 as rector of KPTI was elected member-correspondent of Academy of Science KazSSR, doctor of technical sciences, professor A.G.Lazutkin, who has worked as vice-rector for scientific work. Academic process was implemented on 7 faculties, special and correspondence departments on 23 specialities. In 1989 study in state language began at first time on 5 specialties. Programme of Kazakh language development in KarPTI was developed for period up to 2000. Scientific-research part (SRP) was created at institute on base of issue laboratory and scientific-research sector. Scientific-research laboratories and also service of coordination, administration, organization, maintenance of scientific work were included into structure. The republican interdepartmental scientific-research laboratory was created on protection against corrosion, scientific supervisor – head of department V.E.Abssimetov. In 1991 KarPTI was included into State list of participants of internal economic relations for №PR-1918/34.Operations on machine and equipment import, goods of national consumption, export operations were implemented. S.S.Kwon and T.E.Ermekov were laureates of Minvuz USSR award for success in scientific researches. Laureates’ diplomas of award of Ministries Board of Kazakh SSR in the sphere of science and technique for cycle of works on management of stability of quarry shelving were received by I.Popov, P.Shpakov, G.Poklad, Ph.Nizametdinov. N.Bezuglov, A.Gorchakov, N.Im, G.Lartsev, A.Sinchulov received a title of Laureates of Award of Ministries Board of kazSSR in the sphere of science and technique for development and implementation of hydraulic elevator installation. In 1993 KarPTI celebrated its 40th anniversary. During 40 years institute has prepared more than 42 thousand of high-qualified specialists, who work successfully in many fields of industry, governing structure, in science and culture of the RK. Basic computer training was increased up to 4 terms from 1993 academic year with the aim of using computers in practical work. In 1994 was opened geo-ecological faculty. Since that time it has trained ecologists for industry. 90th years in university history were the most difficult and anxious. That time was adaptation to new conditions of market economics. Curriculums were corrected and new forms of education were introduced. New system of financing was introduced, processes of democratization in various spheres including education system were began. Since 1994 Karaganda polytechnic institute was headed by appointed with Ministry of education of the RK, KPTI graduate, doctor of technical sciences, professor, academician of MAS HS and MAI, Engineering Academy of the RK, Academy of natural sciences of the RK G.Piven. In 1996 by Regulations of Ministries Office of the RK № 573 from May 7, 1996 KPTI was reorganized to Karaganda state technical university (KarGTU). G.G.Piven kept material-technical base of university, scientific-pedagogical potential and raised technical university on new level. As the first vice-rector worked talented scientists M.R.Nurguzhin. University administration on the base of machine-building and electro-mechanical faculties created faculty of information technologies with his participation. First steps in this direction was creation of RIVTS of KSTU, change for personal computers, development and implementation of local computer network and automated information system of KSTU INTRANET with access to resources of world computer network Internet. In 1996 firstly in Kazakhstan under KSTU opened technical lyceum (photo), college of information technologies, (photo) faculty with redundant study course, faculty of urgent education, children’s computer school “Byte” (photo), boarding-school for gifted children “Murager” (photo). “Karaganda institute of systems engineering and business”, “Faculty of economics and management”, “Faculty of entrepreneurship and administration” were created. There were 429 scientists, including 236 doctors and candidates of science and member-correspondents of various academies in the faculty. There issued the first edition of scientific-technical magazine “Automation. Information science”, the founder of which was KSTU. Training of bachelors and masters began for the first time. Laboratory of satellite and digital television was created in the structure of TSCTT. Committee on youth issues with activists of student body was created. 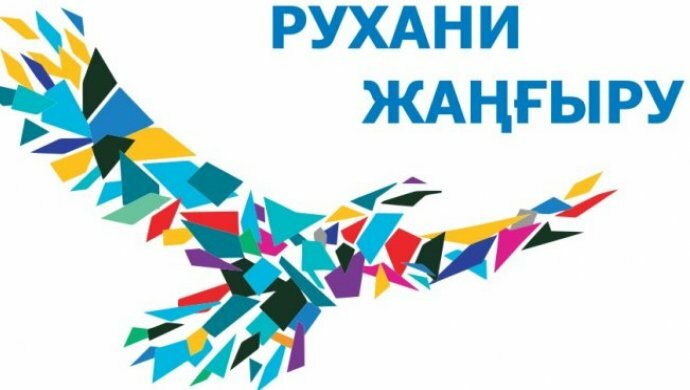 Centre on teaching state language was opened on department of Kazakh language and culture. Rubric “Elim-ai” was opened in large – circulation newspapers “For polytechnic knowledge”, which acquainted us with state symbolic of the RK. Those years KSTU was the only university which implemented training of engineering personnel on specialties “Equipment and technology of welding production”, “Metrology and metrological equipment”, “Informational-measuring technique and technology”. Amount of economic agreement works on SRW was 25,9 mln.tenge,160 people were attracted to implementation. International scientific conference “Science and education – leading factor of strategy “Kazakhstan – 2030”” was held annually on the base of university jointly with Karaganda branches of Academy of natural sciences, Engineering academy and Central – Kazakhstan department of International academy of informatization. Kazakh State scientific-research design-constructive laboratory “Complex inspection and reconstruction of buildings and constructions” which created under our University received State license for right to implement architectural- town-planning activity in the RK. It’s only one laboratory in Kazakhstan, subsequently converted to scientific-research institute MIRR. On a number of research areas, including machine building, university was recognized as main in the Republic. (Regulation on reorganization of KarPTI to Karaganda state technical university, collections of International conferences “Science and education –leading factor of strategy “Kazakhstan -2030”, magazine and newspaper material, diplomas, certificates of honour, photos). In 2002 Karaganda state university became winner of competition for title of laureate of International programme “Golden medal of Association of industry assistance”, which was held among enterprises and organizations of CIS countries and Baltic states since 1989. KSTU was awarded with Golden medal for dynamic development and high quality, rector G.G.Piven was awarded with personal diploma and Honourary badge of Association of industry cooperation for effective administration and creative approach. There was organized academic channel of satellite television , which allowed to implement direct transmission of lectures of Modern Humanitarian university (MHU, Moscow). 2 educational-methodological associations at KSTU were created by order of Ministry of Education and science of the RK in August, 2002 according to it university was recognized as main (leading) on 27 specialties and directions of the training. It is recognition of our university and high measure of responsibility in solution of many important issues of development engineering education in the republic. KSTU is a collective member of International academy of sciences of higher school (IAS HS), International Association of engineers-analytics in the sphere of automated analysis (NAFEMS Great Britain). 2003 year – KSTU has celebrated 50th anniversary. Training was held on 14 faculties by 56 specialties. The faculty unites about 700 people, including more than 50 doctors of sciences, professors and more than 300 candidates of sciences, associate professors. KSTU issued its first encyclopedia, which was devoted to the 50th anniversary of formation and development of university to state technical university (photo, jubilee greetings, telegrams). KSTU has become pioneer among technical universities in implementation of distance education. There was first graduation of the students. In 2003 KSTU entered six universities of Kazakhstan received the status “E-university”. In 2004 rector of university G.G.Piven awarded with order “Kurmet” for merits in development of economics, social sphere, science, culture and education by decree of President of the country. In 2004 university was the first in Kazakhstan which passed certification audit for correspondence of quality management system of training requirements of international standard IQО 9001:2000 and received certificates “Russian register” and IQ NET, International Association on certification, which gave recognition to QMS of KSTU in 32 developed countries of the world (photo). In 2005 International fund for high quality in business practice (Switzerland, Geneva) awarded KSTU with Golden medal for high quality of graduation of young specialists, stable and constant growth, innovative policy, usage of modern high technologies and educated staff. KSTU was affirmed as leading university on 7 from 32 technical specialties of new Classifier 2004. KSTU was awarded with Diploma in nomination “Best educational institution” on the 2nd Innovative congress of the RK. In 2005 university has won grant for creation research engineering profile laboratory. University is an owner of International award of Honourary sign “Leader of national economics 2006” on International summit, which has passed in October, 2006 in Moscow. On results of independent ranking of universities held by National accreditation centre of MES RK, KSTU took the 3rf place. The title “Best teacher of the RK” in 2005-2007 received I.V.Breydo, D.O.Bajanov, V.V. Yavorovsky, G.D. Danenova, V.I.Tsoy, O.A.Sharaya, Ph.K. Nizametdinov, G.S.Zhetessova, D.K.Issin, S.S.Zhetessov, V.Ph.Dyomin. In 2006 was created students charitable organization “Akniet” which longs for refinement of children-orphans, disabled peoples’ and pensioners’ lives. KSTU delegation headed by rector G.G.Piven has visited Louisiana, Virginia, Marmon technical universities for exchange of work experience (photo of our delegation, emblem of Louisiana technical university). In February, 2008 as rector of KSTU was appointed Laureate of State award of the RK, academician of NAS RK Gazaliyev A.M. Integrated complex of university development was accepted for 2008, according to this programme 2008 year was called as year of pedagogical craft. 3 scientific-methodological seminars on introduction of methods of modern ICT in technical pedagogics. There was created Centre of electronic technologies named after the First President of the RK, the aim of which is the active introduction of informational educational technologies into academic process. Language trinity centre named after Shakarim Kudayberdiyev was opened, everyone can master state, Russian, English languages with the help of new means of learning. June 19, 2008 on the base of KSTU was created first in Kazakhstan “Corporate University”, the members of which are scientific and industrial enterprises of Kazakhstan and Russia. There was created Centre of Marketing and contract relations, which provided efficiency of vocational guidance work. At first time University became owner of 1038 grants and became absolute leader among universities of city and region. There were opened 5 new specialties: “Biotechnology”, “Information science”, “Chemical technology of organic substances” and “Initial military training”. There was created new electronic reading room for 100 computer places. There was also created Council of Trustees of university. April 2 was held scientific-practical conference “President and modern youth –AS A facet of Kazakhstan’s way”. 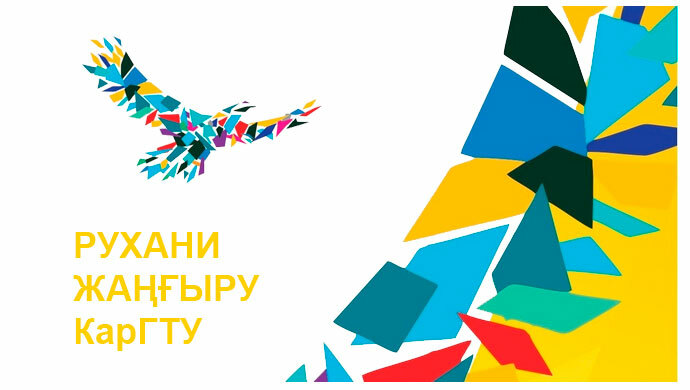 In November 2008, University was made special notion by Head of Administration of President of the RK A.E.Mussin for active participation in the Republican contest-exhibition “Altyn Sapa” and high quality of educational services. There were opened 2 dissertational councils on defense of doctoral dissertations. There were presented 11 projects of scientists of University on International forum “Karaganda-invest – 2008”; were presented 11 projects of University scientists; 137 students works on the Republican competition SRI; on students conferences – 575 reports of our students. Amount of financing SRI is 250 mln.tenge. There opened centre named after A.S.Saginov “Innovations in education and science”, where presented scientific developments of KSTU scientists, which has no analogues abroad. For the first time in the history of University for a series of scientific works on theme “Improvement of calculation methods and construction of mining machines” head of department of PT, Doctor of technical Sciences, professor Malybayev S.K., associate professor of PT department, Cand.Tech.Sci. N.A.Daniyarov, S.M.Adekenov (awarded posthumously), A.N.Daniyarov (awarded posthumously) were awarded by the first award of academician K.I.Satpayev. December 18, 2008, in days of celebration of 55th anniversary were issued 2 encyclopedias of KSTU and as pay tribute for memory of great teacher was issued book “Traits to portrait of academician A.S.Saginov”, which presents collection of articles-memories of staff, teachers, who have worked under A.S.Saginov’s guidance. That day also was immortalized memory of honoured scientists and education by assigning names of A.S.Saginov, N.Ph.Graschenkov, E.I.Shevtsov, I.I.Popov, M.A.Ermekov, A.N.Daniyarov, S.S-G.Kwon. R.P.Okatov, V.Ph.Byrka, Sh.K.Kashyk to departments and auditoriums, for the blessed memory of those are placed memorial boards in educational buildings. There were organized contests for title “Teacher of the year”, “Best curator”, “Best structural subdivision”, “Best department ”,“ Best faculty” with total fund of 1 mln.tenge. Students and young teachers participated in competition to get International scholarship of President of the RK “Bolashak”. 50 people from 93 applicants are studying by this programme. 21 rector scholarship named after outstanding people of global scale (Abay Kunanbayev, V.I.Vernadsky, K.I.Satpayev, Shakarim Kudayberdiyev, E.A.Buketov, M.O.Auyezov, S.Seyfullin, A.L.Chizhevsky, D.A.Kunayev, A.S.Saginov) professors, who made remarkable contribution foe development of university (V.Ph.Byrka, A.E.Ermekov, I.I.Popov, A.N.Daniyarov, R.P.Okatov, E.I.Shevtsov, N.Ph.Graschenkov, M.A.ermekov, S.S.Kwon, Sh.K.Kashyk, G.K.Kuschanov) were appointed for encouragement of active students’ youth. KSTU became laureate of International award “Golden fenix”, established by Higher institute of business and management INSAM (Switzerland), Consulting company Technomic Consultant (France). National Committee of European Business Assembly awarded rector of KSTU A.M.Gazaliyev the title of Honourary professor of Vena International University for contribution into strengthening of international relations in the sphere of science, education and business, also Karaganda state technical university marked with International award “European quality” for implementation and realization of international progammes and high professionalism of teaching staff. In October 2008 International image programme “Leader of XXI century” (Russia) awarded KSTU with international award “Award of millennium” – “For merits before humanity”, rector A.M.Gazaliyev – with Honourary award “Intellect of the nation” – “for high professional achievements and remarkable contribution for intellectual development of the modern world”. There created interior of home study of A.S.Saginov at museum, where visitors can see writing table, favourite armchair of the scientist , student’s copybook of Dnepropetrovsk mining institute Saginov Abilkas, 1934, notebook with statements of outstanding people, book of A.S.Saginov “About passed way”, books “Straits to the portrait” “Academician Abilkas Saginov” by V.Mogilnitsky. There presented copies of his awards.